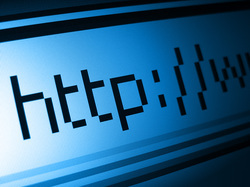 Consider your website your business address on the internet. People are searching for you there. Gone are the days where traditional advertising and referrals alone are going to get you the clients you want and need to succeed. If you don't have an online address then your competitor is going to get your clients. Just like your physical store, if you have one, without traffic no one will come. You will dress up your window, provide offers and value for money but this too is not enough. If you have a fabulous restaurant with fantastic food but you are located down a dark alley, you have reduced your opportunities to attract clientele, or at least the right kind of clientele. All that being said, get a website, make it pop and draw people to it. Simple right? If you are just starting out or you have been in business but are not really sure how to get started with your online "business" location then BZB can help you get started. Changes that require less than 30 min. I would put location there but it merits more detail. Your goal should be to locate your business on main street, in the online world that is Google. There are many strategies that will put you in the prime location (page 1) and some work is involved. BZB is familiar with these strategies and our goal is to help you achieve it. Contact me to set up a consultation about what methods and strategies best suit your business needs.